BidnessEtc.com, a new financial media platform that combines deep financial analysis with graphic design, hosted more than 1.5 million unique visitors in the month of January. What we’re doing is not easy – we’re competing with some of the most well-established names in the industry with an intelligent, highly-refined product. “This is the first major milestone on the long road we’re walking on,” says Babar Din, Chief Content Officer at BidnessEtc.com, a new financial media platform that offers stock market news, financial analysis and investment advice to a global audience of professionals, students and investors – for free. The website recorded more than 1.5 million unique visitors in the month of January – only its second month in full operation. These two individuals, along with their team, are now providing free-of-charge insights into how the smart money thinks and giving professional advice regarding which stocks to buy now, and which ones to sell. And the website presents professional research in a way no financial media company has done before: seamlessly fused with visual elements that bring its analyses to life. If the numbers are anything to go by, professionals around the world agree. The website’s rapid rise indicates that professionals and everyday investors alike seem to love BidnessEtc.com’s take on finance – sometimes the least understood subject in modern times. 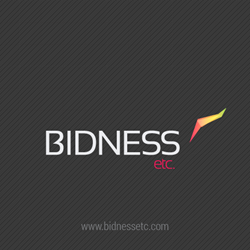 For more on the company and its vision, visit: http://www.bidnessetc.com/.